The maximum loan amount for Utah residents will be $2,500.00. Only pay for the number of days you keep your loan. See table below for payback amounts. No origination fees, no setup fees, and you can pay your loan off at any time without additional penalties or charges. 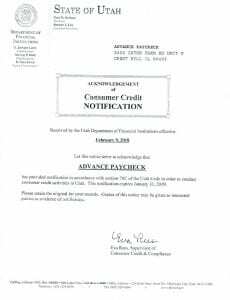 The consumer has a 48 Hour period where they are able to Rescind the loan and pay back the Principal amount with no penalties or fees. 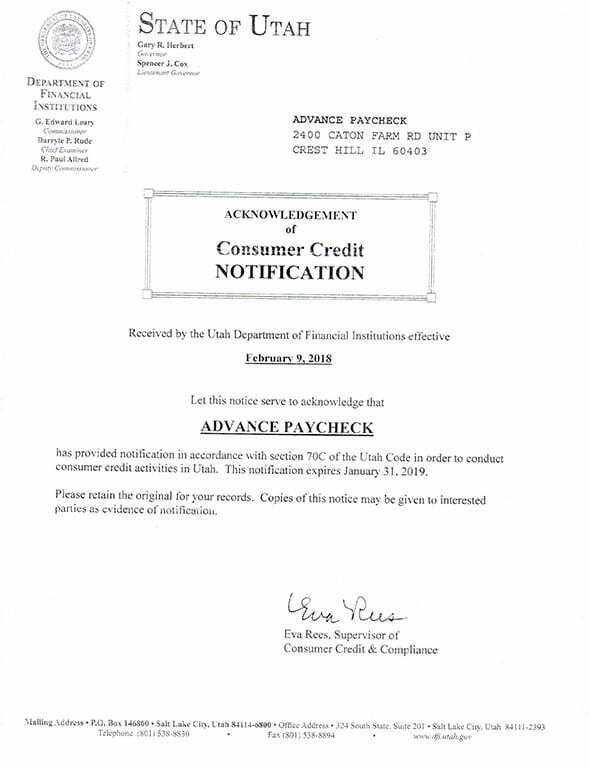 The loan agreement will be governed by the applicable laws of the state of Utah . Questions or complaints should be directed to your state’s regulatory agency. Click here for contact information.